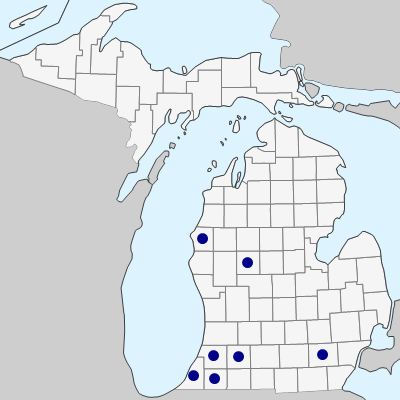 Michigan is at the northeastern edge of the range of this species of prairies and open forests. Our collections are from dry and wet prairies, sedge meadows, and moist open ground at borders of forests; gathered once from a Scots pine plantation. The Washtenaw Co. record is from along a railway and presumably not native there. Now sometimes also included in so called prairie plantings, and collected as "Persisting...about 20 years" in such a planting in Lenawee Co. (not mapped). 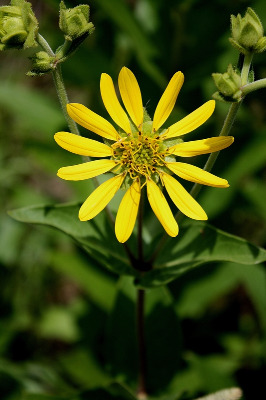 See comments under Heliopsis on possible confusion with that genus. MICHIGAN FLORA ONLINE. A. A. Reznicek, E. G. Voss, & B. S. Walters. February 2011. University of Michigan. Web. April 24, 2019. https://michiganflora.net/species.aspx?id=445.